Here we are proud to display the efforts of several local craftstmen & women who know and understand the history and feeling of the Runes. 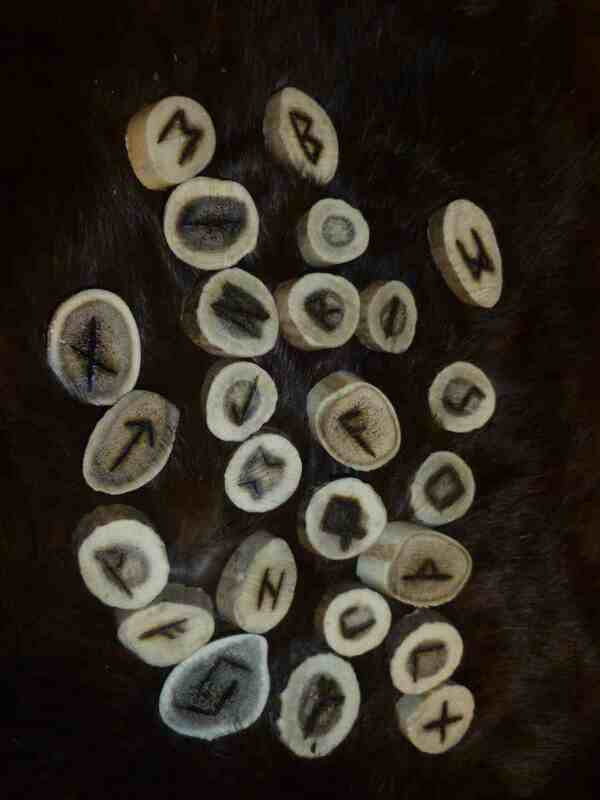 Our own pyrographed Witchcraft Rune Sets are made from the Celtic timbers - or for a completely different feel, Stags horn. We also occasionally make bespoke stone sets on commission (when we have time to gather the raw materials!). 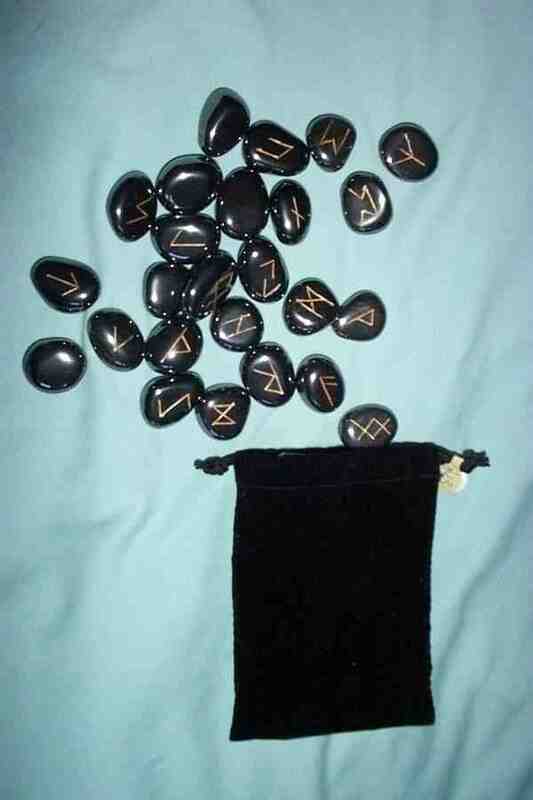 Our sets are generally made to the Elder Futhark - 24 runes, and our little instruction leaflet explains possible uses of this set - but you will (and MUST) find your own path with them as in all things magickal. There are many books on the subject - some available here. TO BLANK OR NOT TO BLANK? Please note - our own sets do NOT generally include a BLANK - although you may ask for one if you require. 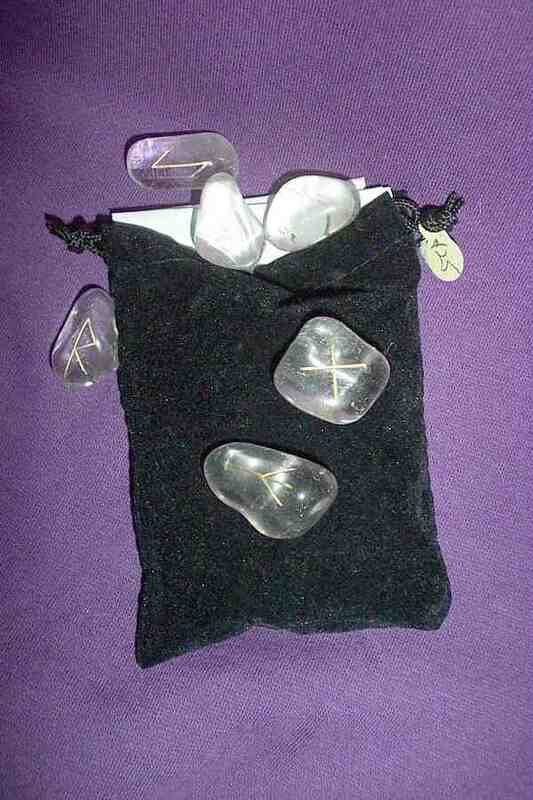 We respectfully suggest that you KEEP THE BLANK RUNE SAFE IN CASE YOU LOSE ONE, and please NOT to use it in divination. 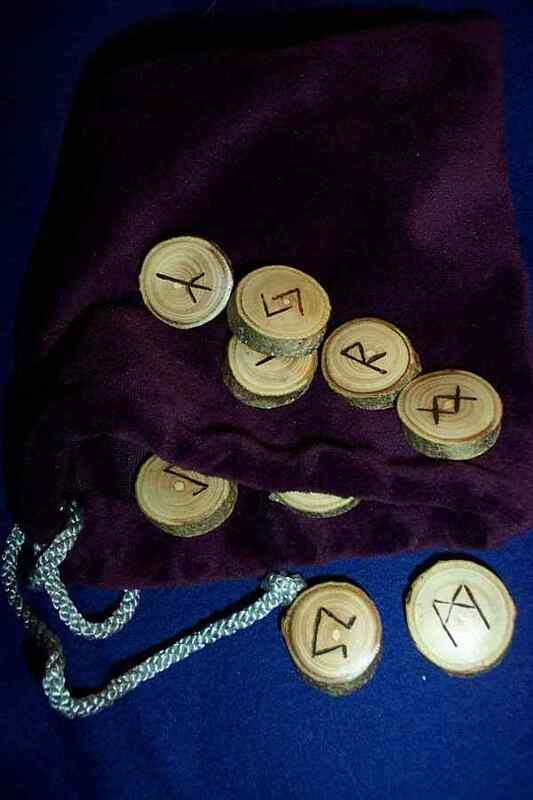 It is a modern invention (an American author - Ralph Blum, in the 80's), and should NOT, in our opinion, be used for divination - Runes are SYMBOLS - like alphabetical characters. Think about it - has there EVER been a 'blank symbol' in the history of languages? A blank symbol is a SPACE - spaces are used for PUNCTUATION ONLY! Those who follow Mr Blum's system, insist that the blank symbolises WYRD or fate - i.e a bit like the Fool in the Tarot - the 'wild card'. We respectfully suggest this is a nonsense which does NOTHING to enhance the Runic system. Bury it. 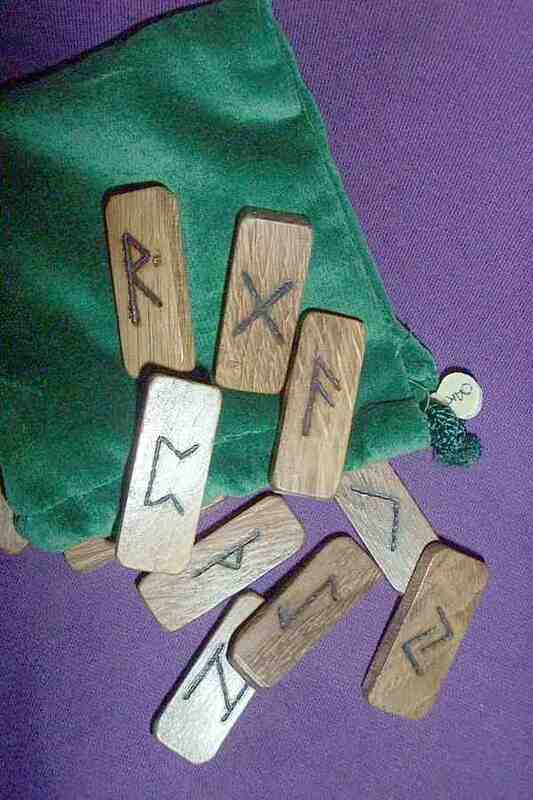 Runes were used in a variety of guises over many centuries, and there are several symbol systems - generally known as Futharks (alphabets if you like!). We are continually researching the older and less commonly used sets, and have been commissioned to produce several different sets. We will make to order in ANY Futhark that you wish to work with - and we work closely with you to ensure you have what is right for you (ok - maybe EXCEPT the blank!). Our semi-precious stone sets are usually well-polished, and they are ENGRAVED - not just painted - so they should last a long time. just less than half inch cubes - these are milk amber - good weight and size, and very special. Expensive but just wonderful to use! Last set just sold - �109 - we are trying to get more - enquire! These are medium button sized - about half an inch across - in milk amber - good weight and size, and very special. Not currently in stock - these are priced at �89 - enquire - we are TRYING to get more! 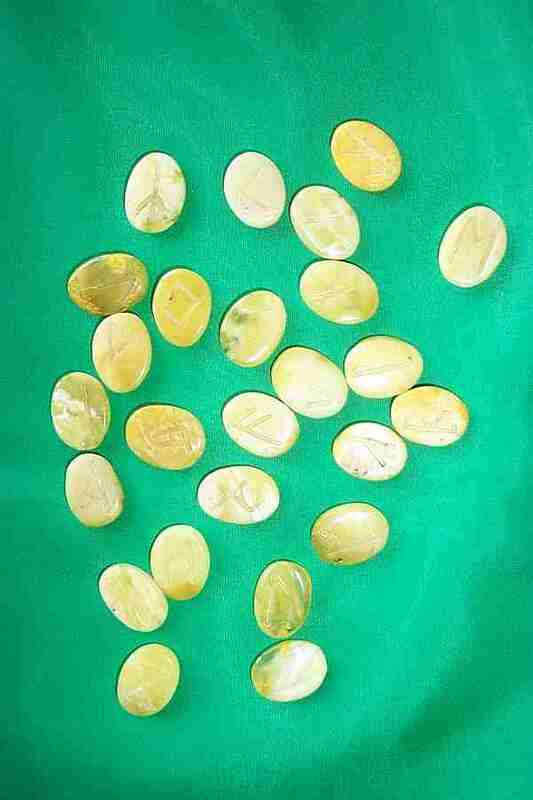 Citrine is a little more expensive than other tumbled stones - but has a wonderful burnt ochre colour. A little different and exquisitely made, these are the size & style of small dominoes - usually available in really hard and beautifully polished oak or yew, and with their own little explanatory booklet - ask for current stock details - these are special! BUT THESE CAN BE MADE IN MOST OF THE CELTIC WOODS - JUST ORDER WHAT WE HAVE IN STOCK OR EMAIL FOR ANYTHING SPECIFIC! Avalon gathered & constructed in the Elder Futhark. These will be about 1.25 inches across or slightly larger - perhaps more suitable for home or regular use than for travel. Superb energy and quality, with a protective Velvet or rich material bag (colour will vary). Avalon gathered & constructed in the Elder Futhark. Other futharks gladly made on request - 28 days' notice. No extra charge provided we have the character set! These will be about one inch across or slightly less. We use these for travel or temporary set-ups - they will fit easily in a jacket pocket. They are also PERFECT for the smaller hand. These are available in various Celtic timbers - see the drop-down list - but some of them are rare - you may have to wait a while for them! 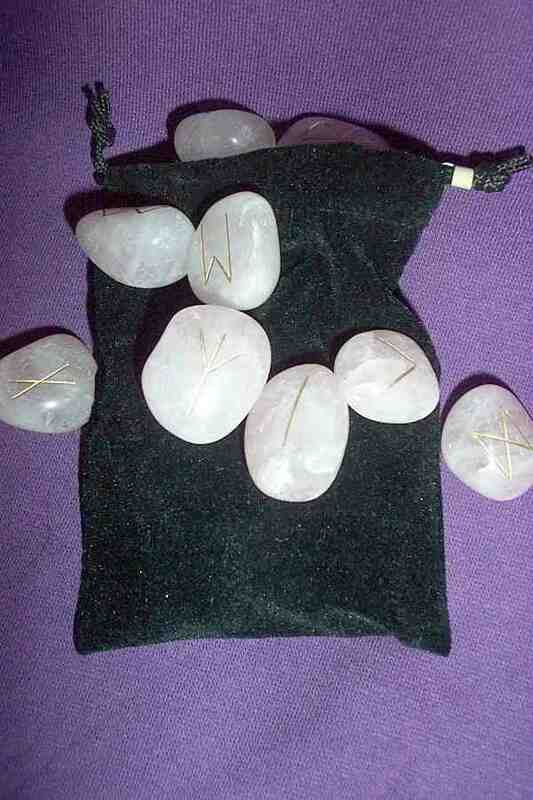 NB - we usually DO provide a blank rune - but we do not use it ourselves - it is a completely modern invention and could NOT have been used for divination in the past. We recommend saving it in case you lose one! 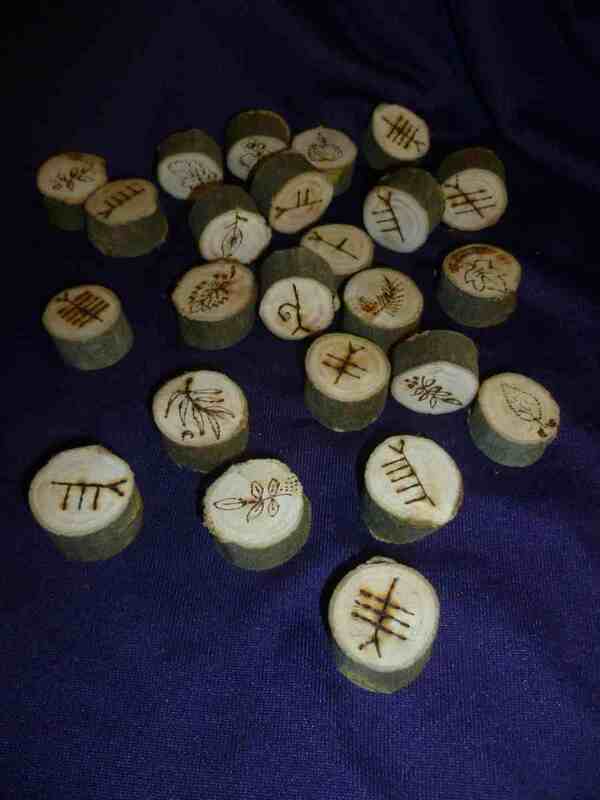 Our own ogham set - on willow, ash, or birch (others timbers may be possible on request). A full set with a symbol of the tree on the reverse, to help you connect with the tree spirits. Further pictures available - email to enquire! Beach-washed slate shards, constructed in the Elder Futhark - or the futhark of your choice. We try to get matching sized pieces as far as possible. - this means we only ever have enough slate for one or two sets at a time - please be patient for these! 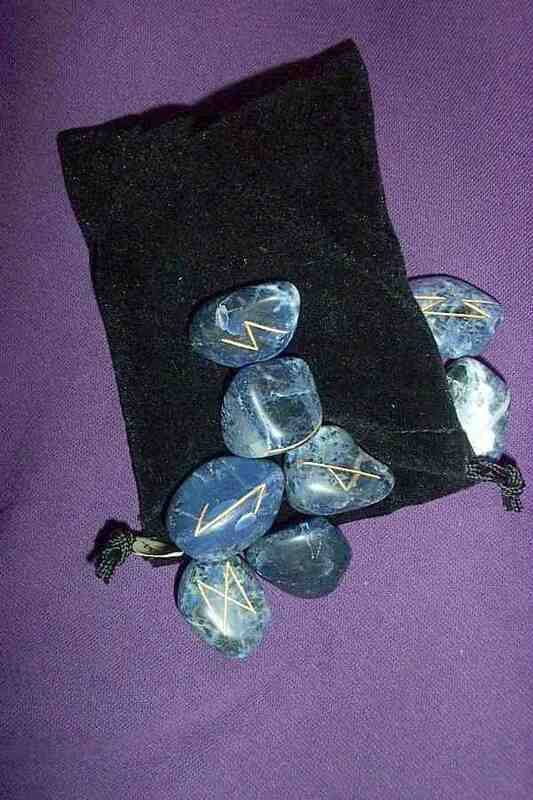 Beach-washed slate shards, constructed in the Elder Futhark - or the fuhark of your choice. Superb energy and quality, with a protective bag (colour will vary). These are made only from fallen antler, and have a superb feel to them - picture shortly.